U of T Mississauga research. 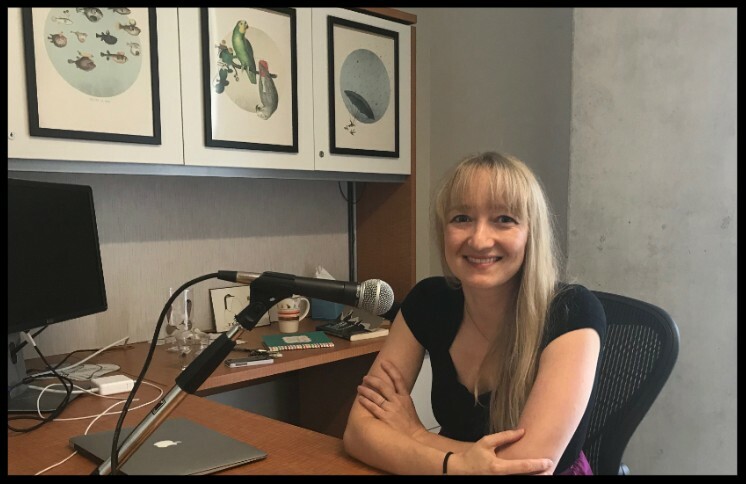 On this edition of the podcast, Professor Tracy Rogers plots her research path that has led to her place as forensic anthropologist at the University of Toronto Mississauga and as a consultant with the Ontario Forensic Pathology Service. She discusses her broad program of research that touches on several areas, including identifying skeletal remains, analyzing bone composition, and investigating skeletal health. 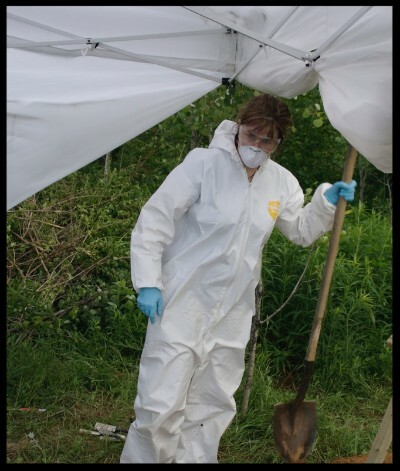 She also addresses why women may be particularly drawn to Forensic Science. on Thursday, November 29, from 1 to 3 pm in Council Chambers, DV-3130. 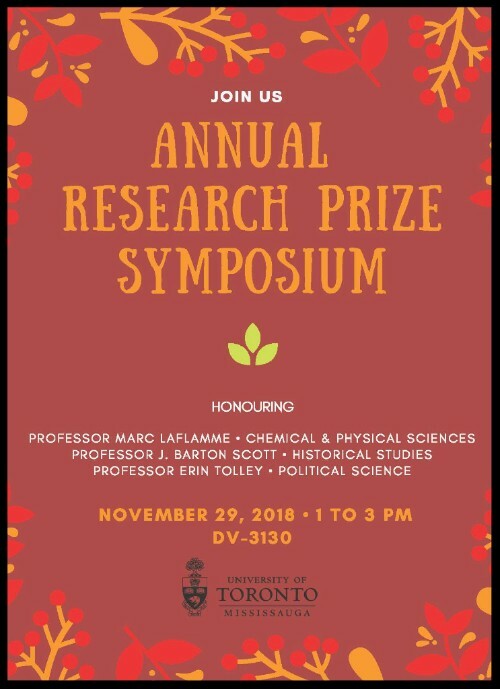 The three Research Prize winners will give presentations on their work. Professor Sarah Rauscher from the Department of Chemical & Physical Sciences applies principles from physics and chemistry to discovering the structures and dynamics of disordered proteins. Read more about her work, which is funded by NSERC and Compute Canada, in "Defining the shapes of shapeshifting proteins." The Power of Positivity in People. Professor Jennifer Stellar, Department of Psychology, talks about her work exploring the power of positive behaviour in people and the benefits to well being and health. Listen to VIEW to the U podcast, which features Women in Academia for its second season. The Connaught New Research Award application is due December 3, 2018. The MRA form for the SSHRC Partnership Engage Grant is due by Research Services's internal deadline 12 PM on December 10, 2018. The internal deadline to submit the online SSHRC application is 12 PM on December 13, 2018. The AGE-WELL Core Research Program (2020-2025) Call for Proposals are due by the internal UofT deadline of December 22, 2018. The MRA form for the SSHRC Connection Grant is due by Research Services's internal deadline 12 PM on January 25, 2019. The internal deadline to submit the online SSHRC application is 9 AM on January 30, 2019. The MRA form for the SSHRC Insight Development Grant Insight Development Grant is due by Research Services's internal deadline 9 AM on January 28, 2019. The internal deadline to submit the online SSHRC application is 9 AM on February 1, 2019. The MRA form for the SSHRC Partnership Grant Stage 1 is due by Research Services's internal deadline 12 PM on February 8, 2019. The sponsor deadline is February 15, 2019. Communicate your research with "journalistic flair" via a platform that reaches a broader audience and gives you final say: consider submitting an article related to your work to The Conversation Canada. "Sticker shock: Conservation costs and policy complications." Assistant Professor Sherry Fukuzawa is hosting a symposium on December 7th at the University of Toronto Mississauga on "The Importance of Indigenous Education in Ontario Classrooms." Professor Tracey Galloway examines the impact of a merger between First Air and Canadian North airlines in an op-ed, "Northern airline merger would be 'disastrous' for northerners," in Nunatsiaq News. In September PhD student Andrew Long was a lead author with supervisor Professor Steven Short: "Algal viruses and cyanophages have distinct distributions in Lake Erie sediments" in Aquatic Microbial Ecology (v. 82, n2, pp. 161-175). In September PhD student Michael Staniewski was a lead author with supervisor Professor Steven Short: "Methodological review and meta‐analysis of dilution assays for estimates of virus‐ and grazer‐mediated phytoplankton mortality" in Limnology and Oceanography Methods. Undergraduate and graduate students and Professor Steven Short published the following book chapter:S. M. Short, M. A. Staniewski, Y. Chaban, A. M. Long, and D. Wang. (2018) The Diversity of Viruses Infecting Eukaryotic Algae. In Viruses of Microorganisms: Diversity, Molecular Biology and Application, Eds. P. Hymen, and S. Abedon, Caister Academic Press, Norfolk, UK, 373 pp. An image produced by Short's lab, and edited by an undergraduate student in Biology, was selected as the cover image for the book. Professor Marc Laflamme is this year's Research Prize recipient in the Social Sciences. In October Vice-Principal, Research, Professor Kent Moore was elected a Fellow of the Royal Canadian Geographical Society in recognition of his research on climate change in the arctic. In October Professor Lindsay Schoenbohm contributed an opinion piece to the Toronto Star, "The reason some earthquakes are so devastating," as well as to The Conversation Canada, "Why some earthquakes are so deadly," which was picked up in the Business Standard and was featured at U of T News. In October Professor Holger Syme comments on portrayals of antisemitism in The Merchant of Venice in National Post article: 'Toronto private school fires head for not warning students about anti-Semitism in The Merchant of Venice." Professor Ron Buliung was featured in the U of T Magazine for his work in urban mobility and making spaces more accessible in the article "Towards a City Without Borders." Additionally Professor Buliung's work was also featured in the Toronto Star in October in "Fewer children walking to school, Metrolinx report finds;" a study on with Buliung was lead author. Professor Nicole Charles is one of the organizers of Black Technoscience “Here,” which engages with the rich body of aesthetic, artistic and scholarly work on (anti)blackness, science, technology, material cultures, health, consent and ethics both within North America and throughout the African diaspora to collectively question what it means to activate black technoscience thought “here,” in Toronto, at this moment, within the confines of the neoliberal university. Professor J. Barton Scott is this year's Research Prize recipient in the Humanities. Professor Jacob Hirsh's article, "The Psychology of Middle Power: Vertical Code-Switching, Role Conflict, and Behavioral Inhibition," was selected for Academy of Management Review's 2018 Best Article Award. In September Professor Sonia Kang organized and spoke at the Behavioural Approaches to Diversity (BAD) Conference. Professor Lisa Kramer's work was featured in a number of media outlets from August to November including the following: an article on the seasonal turns in the stock market in The Wall Street Journal; in the Financial Post in "Know your tolerance for a market downturn and stay calm when it hits: experts;" in Global News in "What a bull market is, and why it matters to everyone;" in BBC World Service: "Is Time Up for Changing Clocks? "; in The Huffington Post, "Canada Pension Plan Investment Board Has Highest Ethical Standards;" in The Toronto Star, "Your investments can suffer in the shorter, darker days of fall;" and in The Globe and Mail, "Financial markets can suffer from the blues, too." Professor Andreas Park receives Global Challenge Award for the project, "UTLedgerHub: University of Toronto’s Global Knowledge Hub for Crypto-Economic Technology, Finance, Privacy, Governance, and Regulation in a Decentralized Future;" and also published a paper in the Journal of Financial Economics: "Regulating dark trading: Order flow segmentation and market quality." IMI Director Professor Soo Min Toh's research on ineffective leaders was profiled in Market Business News and Big Think "Leaders who are stuck in the past create ineffective cultures" and "Ineffective leaders too often repeat their past," as well as a Rotman news release. Professors Tracy Rogers, Director of the Forensic Science Program and in the Department of Anthropology, and Jennifer Stellar from the Department of Psychology were both recently featured on VIEW to the U podcast, which has now over 7280 listens. Professor Ronald Beiner's work examining the rise of the far right and 'bad' Nietzsche received extensive coverage in The National Post in September. Professor Shivaji Mukherjee had two articles published: “Colonial Origins of Maoist Insurgency in India: Historical Institutions and Civil War” in the Journal of Conflict Resolution; and "Historical Legacies of Colonial Indirect Rule: Princely States and Maoist insurgency in Central India” in World Development, Volume 111, November 2018, pp 113-129. 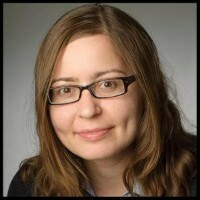 In November Professor Andrea Olive was featured at The Conversation Canada, contributing the article "Sticker shock: Conservation costs and policy complications." Professor Erin Tolley is this year's Research Prize recipient in the Social Sciences. Professor David Wolfe provided commentary in September: in a National Post article, "'Hotbed of innovation' risks leaving Canada in the cold," as well as a Toronto Star article, "As Silicon Valley eyes Toronto, some worry tech boom could hurt Canada." In addition, Professor Wolfe was featured in the article, "'Not just beef and oil': Nenshi travels to Vancouver to woo tech talent to Calgary," as well as the National Post article, "Toronto loses Amazon HQ2 battle, claims victory with bid effort." In November Professor Tina Malti took part in the Hot Docs Podcast Festival on CBC's Other People's Problems. In September Professor Jerry Flores's work was featured at The Conversation Canada in the article "Drugging detained children is like using a chemical straightjacket." In addition, Professor Flores's work was also featured at the Business Standard in the article, "Narcotics trafficking, violence, poverty leading migrant caravans to US? ", as well as being profiled at U of T News in November. In October Professor Akwasi Owusu-Bempah discusses the complexity of cannabis regulations following legalization in "Dazed and confused: Canada cannabis legalization brings complex new laws" in The Guardian, as well as providing commentary in the Montreal Gazette in "Beyond pardon, the larger question of social justice for pot convicts." In addition, Professor Owusu-Bempah was featured at the U of T News related to is work examining cannabis pardons, as well as a feature article in Maclean's magazine, "The making of a Black man," and a Toronto Star article on Toronto homicide record. Copyright © 2018 U of T Mississauga, All rights reserved.